PLAYERUNKNOWN'S BATTLEGROUNDS (PUBG) Xbox One Review - Where We Dropping, Lads? As someone that much prefers First Person Perspective (FPP) over Third Person Perspective (TPP), I was incredibly disappointed to find that console players seem to hate FPP. I spent at least half an hour queuing before I gave up searching for an FPP game and I’ve known others have waited over an hour searching for one. TPP is a completely different story, with queue times typically lasting under two minutes before being dropped into a lobby. The PC version of PUBG does not have this split in terms of game modes, so if FPP is your preferred game mode then maybe give the Xbox version a skip. Once you do get into a game, it’s worth mentioning that the overall pace feels noticeably slower than its PC counterpart. I’m so used to seeing the remaining counter dip below forty players before the first circle retracts that I was shocked to still see fifty-five players alive and kicking three circles in. These slower games gave me more time to loot and scope out an area, forcing me to be more methodical and calculated in my movements. 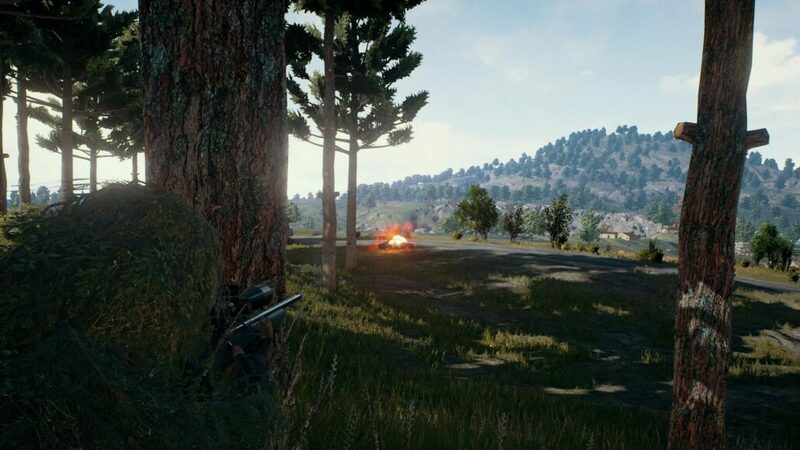 PC players are now largely split into two camps: go all-out aggressive in Pochinki/Pecado/Bootcamp winning big or dying fast, or skulk around at the further reaches of the map and turn up to the top ten showdown without having seen another soul. It’s nice to see that console games have not yet descended into these kinds of experiences where it’s simply make-or-break in the first or last few seconds of the game with a lengthy boring interlude if you happen to survive the first couple of minutes. Of course, you still have the option to adopt either of those play styles, it’s just refreshing to see that not everyone has opted for that just yet. As a PC player, I was concerned about how well the controls would translate over to a pad given how many actions there are. Fortunately, most of the actions are assigned to buttons that would be familiar in most games. For the controls that aren’t as intuitive, there is an option in the settings that displays what each button does depending on the context (driving, swimming or aiming, for example). Despite Microsoft announcing future support for keyboard and mouse controls, this has yet to be added to PUBG. This seems like a wasted opportunity as it would’ve been great to have as a bonus option, though we can hope it’ll be added at some point after the 1.0 patch. Those looking for a buttery smooth frame rate will not find it here, although if you’re playing PUBG, you’ve most likely already accepted that optimising the performance is not exactly something the developers of PUBG are known for. That said, if seeing a game running at an unstable 30FPS doesn’t make you want to look scratch your eyes out, PUBG on Xbox may be worth picking up. Rendering natively at 4K on the Xbox One X and 1080p on the original Xbox One, it’s clear that BlueHole is still prioritising visual quality over frame rate. I’ve been playing PUBG on the Xbox One X and while it looks nice visually, there are plenty of crucial moments where the frame rate will plummet for seemingly no reason. I can understand when the game runs poorly after explosions, but it’ll run poorly and will desynchronise from the server despite not a lot going on. It feels like the Xbox One experience of PUBG is similar to the PC version whereby the player-base has no idea when these two major issues (optimisation and desync) will ever be addressed. 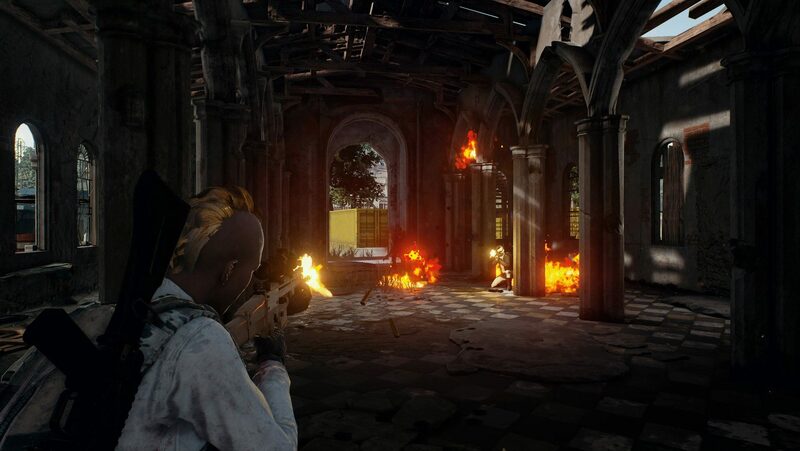 Sanhok, the newest and smallest of the three maps in PUBG, runs similarly to both Erangel and Miramar. There were hopes that the game would somehow magically be optimised with the introduction of the 1.0 patch, but sadly this did not happen. PUBG may run slightly better and HDR does appear to be working now, however, those hoping for a stable experience will continue to be disappointed. It’s a shame that BlueHole is choosing not to enable players to turn down some of the settings in order to achieve more stable frame rates, particularly on the Xbox One X as it undeniably has the power to hit a stable 30FPS with all settings on low at the 1080p resolution. Considering how disappointing the performance is on the most powerful console out right now, I can only imagine how the experience is when using an Xbox One S.
Reviewed on Xbox One X (code provided by the publisher). You can purchase the game for Xbox One directly via Microsoft Store.